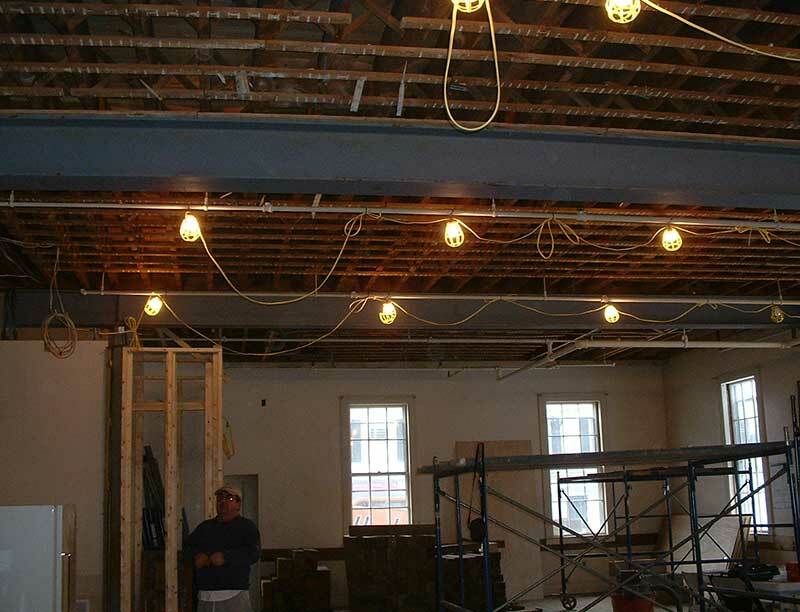 The Congregational Church of Goffstown hired Turnstone Corporation to as the Construction Manager on their behalf for the renovations to Stark Hall. Stark Hall is an old structure located next door to the church that serves many purposes for the Congregation. The historic Stark Hall is a wood framed structure on a field stone foundation. This building is located adjacent to the river and had been affected by the floods of the previous years. 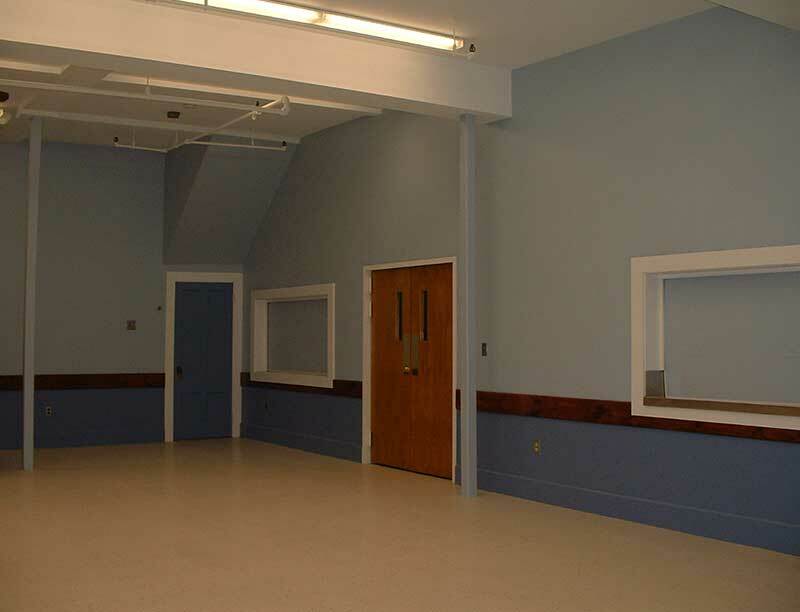 Originally, the project was to renovate the interior of the Hall and some other minor structural work in the basement and with the foundation. 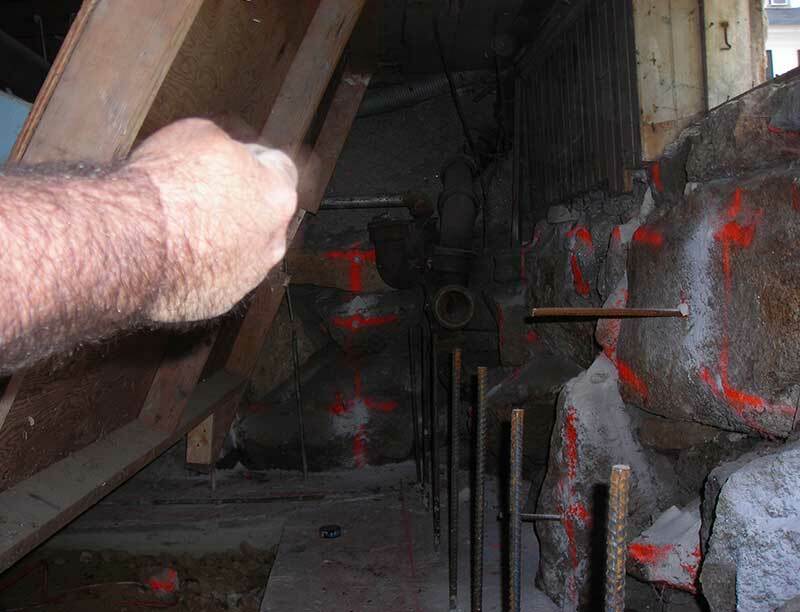 Upon further investigation by the structural engineer, there were significant structural deficiencies discovered. 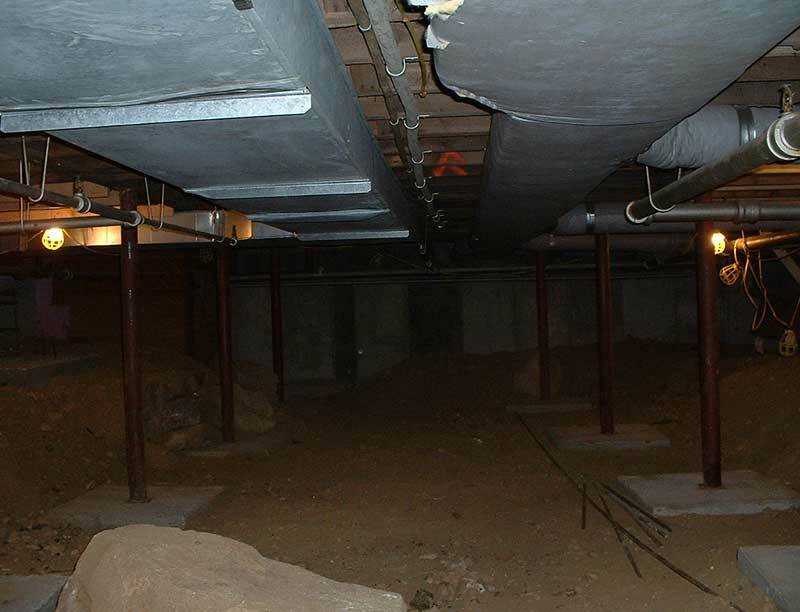 Turnstone Corporation worked with the owner, architect and engineer to resolve these issues. 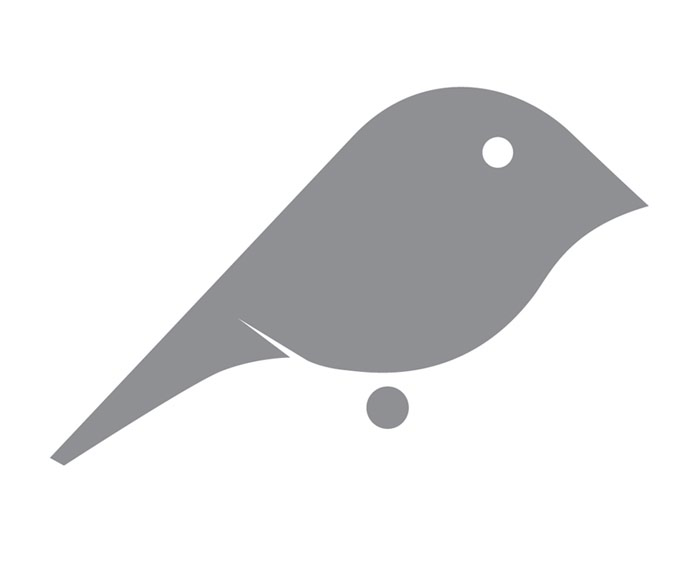 Budgets had to be completely reworked. Turnstone was instrumental in making sure that the owner was able to continue with the project within the funding available and in the end, was able to expand the scope of work after all of the structural repairs were complete due to the careful monitoring of work and the knowledge of Turnstone Team Members, which contributed to cost savings. 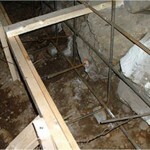 The basement portion of the work was the most labor intensive. There was only about four feet from the dirt floor to the floor joists of the first floor. All of the excavation work had to be done by hand. Turnstone’s field personnel excavated down to the bottom of the stone wall and built forms for the new concrete footings. 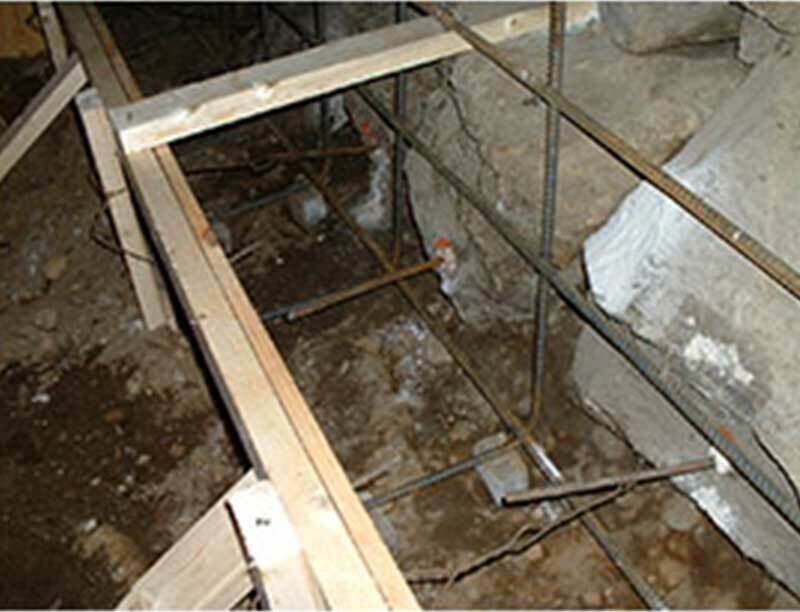 Steel dowels were drilled and epoxied into the face of the stones to connect the new concrete foundation wall to the existing stone foundation. The concrete for the footing and wall was pumped threw an existing window opening on the first floor and then through various holes in the floor. 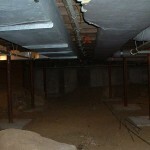 New structural columns were also installed on new concrete footings in the center of the basement floor. The second phase of the project consisted of completely reworking all of the existing structural supports of the second floor. 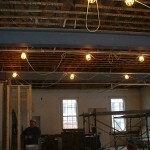 The large wood beams that span the width of the first floor were removed and replaced with new steel beams and columns. 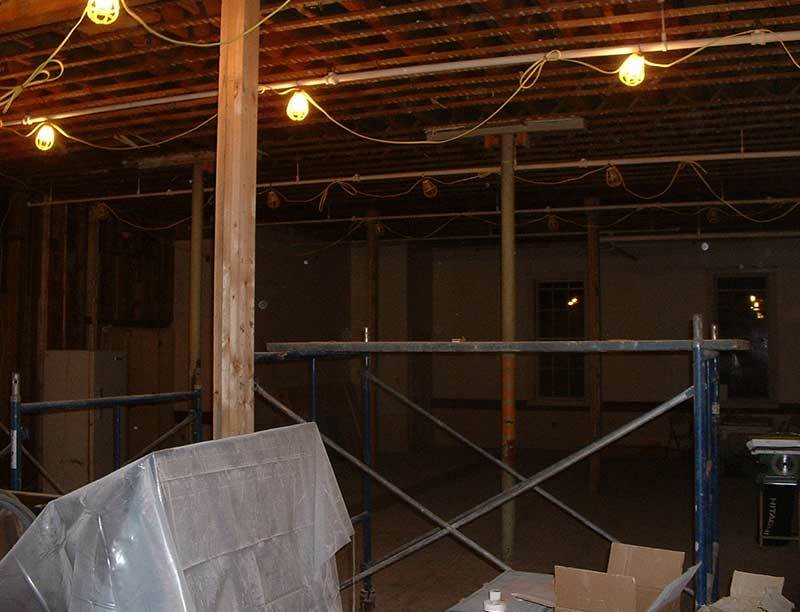 The second floor was temporarily supported while this work was being completed and an occupied dance studio remained open throughout the entire project. 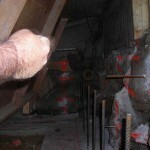 To get the steel beams into the building and in place posed a problem. The size and weight of the beams made it impossible to just carry them in the front door. Turnstone worked with the structure engineer and the steel subcontractor to develop a way to send the beams in threw an existing window opening to a lift that was then rolled into place. 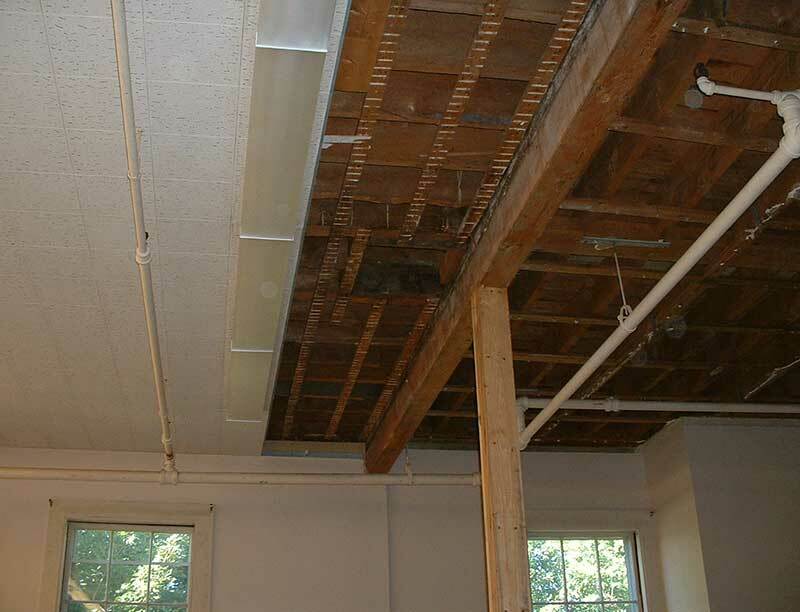 Acoustical insulation was added to the ceiling along with special noise reducing high hat channel and drywall to reduce the sound being transmitted from the second floor to the first floor. The roof rafters were also starting to sag. Turnstone worked with the structural engineer on determining what the best method would be to re-support the roof. 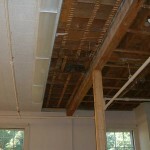 It was determined that the best way would be to add new 2×8 wood rafters nailed to each side of every existing rafter. This required Turnstone to use rafters in single pieces that span the entire length of the existing rafters. The twenty foot long boards had to be lifted up three stories and brought in through the attic window. After all of the structural renovations were completed Turnstone began renovation various other portions of the interior space. 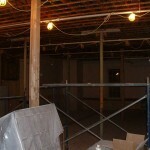 The vct tile on the main floor of the hall was removed. New underlayment and tile was then installed. 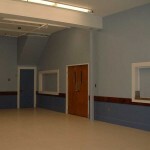 New partitions were built to provide additional storage space for various activities that are held in the hall. Two bathrooms were completely renovated. The large kitchen area received new flooring along with various code required updates to the kitchen equipment. A new exterior double door was added to comply with egress requirements. On the exterior side of the new double door a small covered porch was constructed that lead to the new handicap ramp.